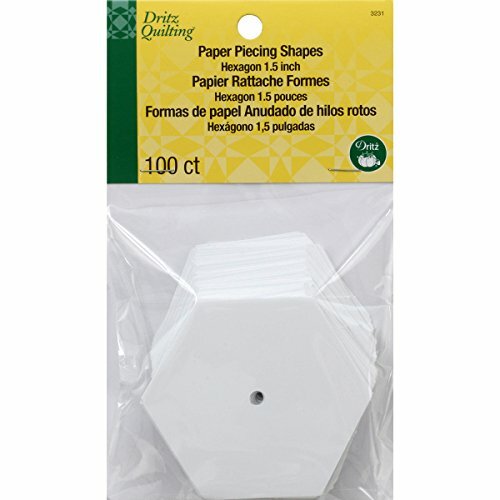 Dritz 3231 Quilting Hexagon Paper Piecing (100 Pack), 1.5"
UNIQUE SLOTS on the TRIMMER - The unique edge slots allow for TRIMMING OF DOG EARS at the same time you trim the non-stitched edges of your half-square triangle. Trimming dog ears makes the assembly of quilt pieces more accurate and results in less bulk in the finished quilt. EASY, EFFICIENT and ACCURATE method to trim and square-up half-square triangles. Align the seam of an unpressed half square triangle with dashed lines on this quilting template then trim all four sides with easy strokes of the rotary cutter. No need to rotate fabric to realign. Makes cutting quilt pieces go faster. 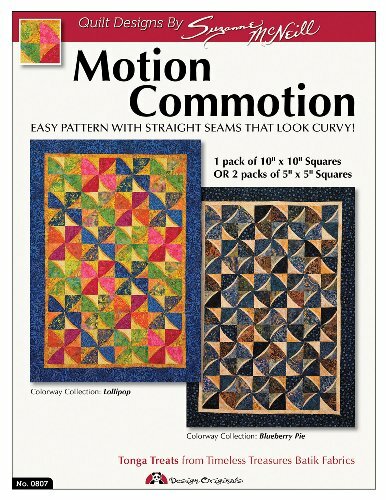 Makes the assembly of quilt pieces more accurate and with less bulk in your finished quilt. 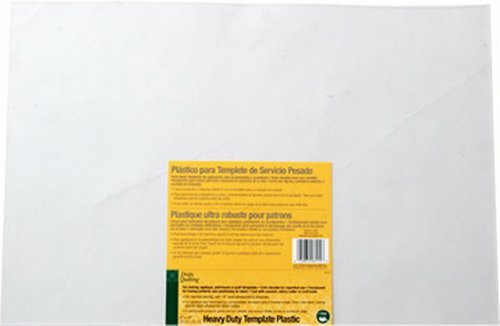 Brand: EZQuilting | Manufacturer: Simplicity Creative Corp.
Dritz Quilting Heavy Duty Template Plastic. For applique, patchwork or quilt templates. Extra durable for repeated use. Translucent for tracing patterns and positioning on fabric. Cut with scissors, rotary knife or craft knife. Measures 12 by 18 Inches. Translucent for tracing patterns and positioning on fabric. Cut with scissors, rotary knife or craft knife. Cut Loose Press patterns are printed on 8-1/2 x 11, card stock, with 3-ring binder holes already punched. Pattern will be shipped in Heavy Weight non-Glare 3-Ring binder sheet protector. Please note: Offered is a pattern, not a finished product. Count on our distinctive shape templates to capture any sentiment perfectly when crafting cards, collages, scrapbook pages or anything else that needs a special decoration. Our transparent shape templates make it easy to crop images and align shapes for mistake-free crafting, and a grid pattern makes layout a quick and simple. Use Shape Templates with our Ultra ShapeExpress tool to create embellishments for paper crafts, fabric appliqu s, decorative borders and more. 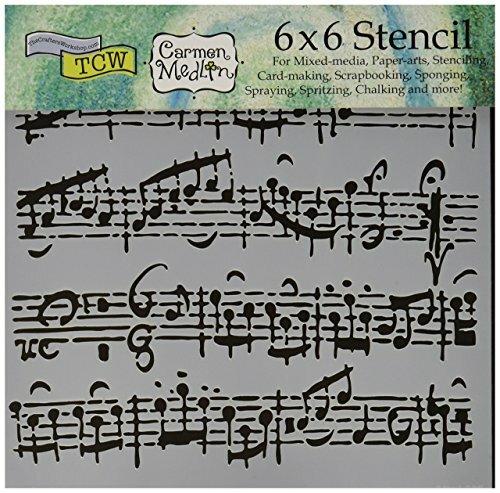 You can even create custom stencil patterns or use the negative space to create windows on cards or scrapbook pages. Create 6 inches finished blocks with 4 quilting templates in this set. 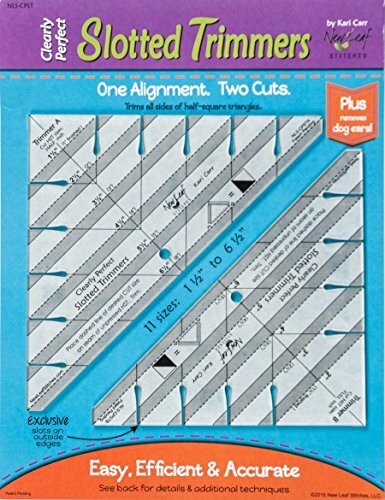 PERFECT quilting rulers comes with trimmed tips which allows smooth sewing. The best feature of this Quilt Rulers and Templates is that it allows to make an entire quilt or sew them into a scrappy & decorative border. 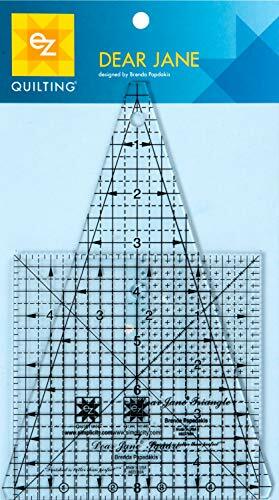 The set of quilting ruler Creative Grids has embedded gripper which holds the fabric in place when pressure is applied. The non-slip feature allows smooth cutting without any miss-cuts. Embellish the seams of these quilting templates with the favorite decorative stitches and threads. All of the pieces can be cut from those odd sized scraps in your stash. Stack fabrics and cut multiples in a matter of minutes. The tips are trimmed when needed so the pieces sew together perfectly every time. Embellish the seams with your favorite decorative stitches and threads. Make an entire quilt or sew them into a scrappy, decorative border. gripper holds the fabric in place while cutting, eliminating slipping and miss-cuts. Comes with fully illustrated step by step instructions or scan the QR Code printed on the template to view a video demonstration. 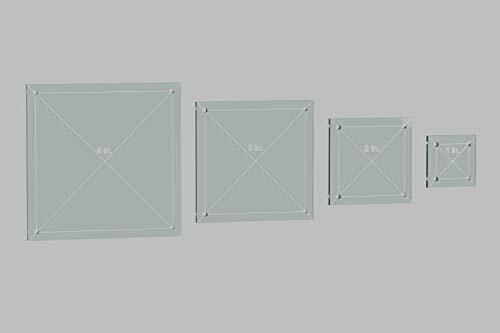 4", 3", 2", 1" Square Quilting template set. There is a 1/4 inch seam allowance around the template and holes at the corners to easily mark the seam allowance. They are made of 1/8" Clear Acrylic. We can make any color and size template, please message us for a quote. These acrylic templates are cut on a laser cutter, they are new but may have minor scratches from transportation and shipping. Cutting wheel, cutting mat, and ruler not included. Words engraved on templates may vary. 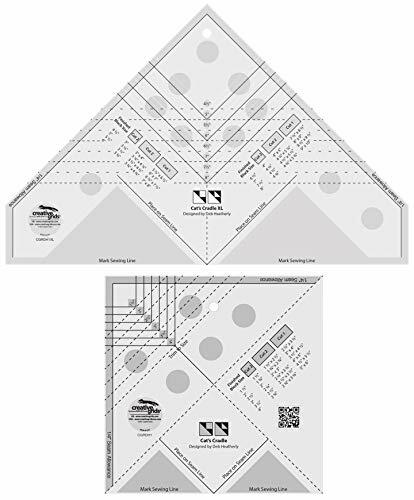 Templates ship with paper backer that can be easily peeled off. 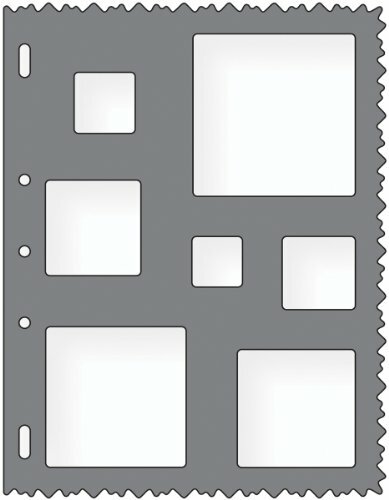 4", 3", 2", 1" Square Quilting template set. 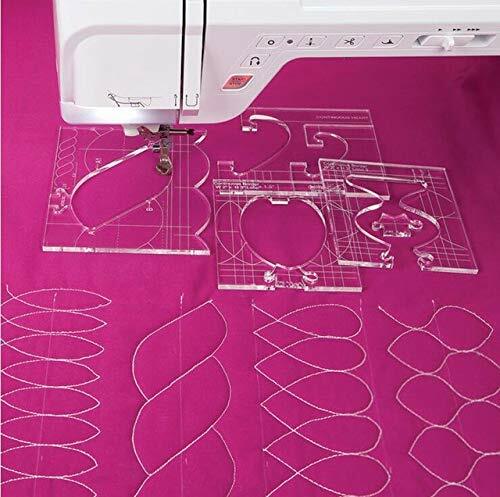 Domestic Quilting Templates allow free motion quilting on any domestic sewing machine. This sampler package provides you with templates that will allow you to learn how to use 250+ Quilting Templates Designed by Westalee. INCLUDES: 6 Spiral, Spin E Fex #4, COQ Spin Wheels #36, 4 ARC, Clamshell, 2 Simple Circle. 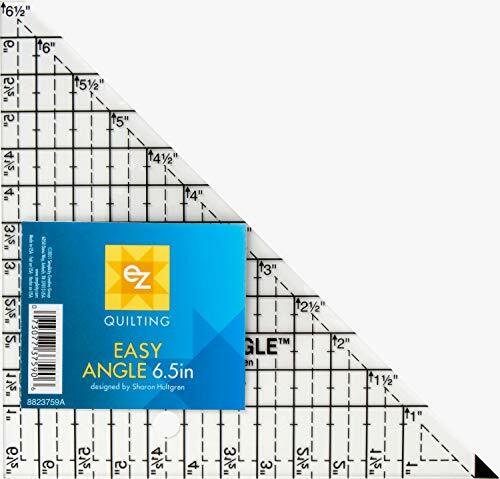 Foot sold separately - We recommend using Sew Steady's quilting templates with the Westalee Design Ruler Foot that is specifically designed to work on any domestic or long arm sewing machine. You may also try using it in conjunction with some of the other ruler feet available from select manufacturers. To determine your size, all you need to do is lower your foot and then measure the height of the different thickness of templates for Domestic machines based on shank height. The refers to the diameter of the foot. This results in a stitch line that is always a from the needle. call 1-800-401-8151 and speak to one of our Expert Sewing Consultants to confirm. Measurements of these templates are shown in the pictures. These make perfect 4", 3", 2", and 1" finished size 60 Degree diamonds. The holes in the corners allow you to mark the 1/4" seam allowance for perfect diamonds. 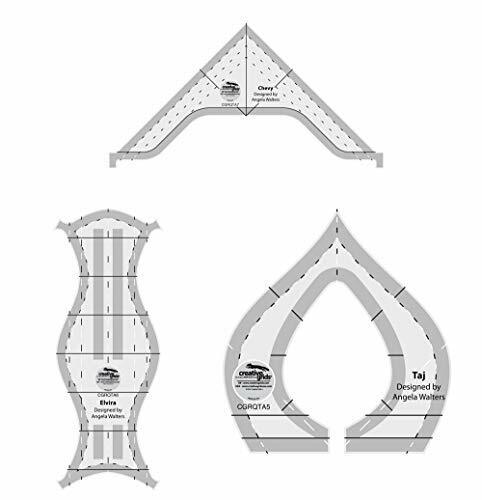 7 inch and 3.5 inch Drunkards Path Quilting template set. There is a 1/4 inch seam allowance around the template and holes at the corners to easily mark the seam allowance. Perfect for a patchwork or beginners quilt. Many tutorials can be found online for the drunkard path template. They are made of 1/8" Clear Acrylic. We can make any color and size template, please message us for a quote. These acrylic pattern templates are cut on a laser cutter, they are new but may have minor scratches from transportation and shipping. Cutting wheel, cutting mat, and ruler not included. Words engraved on templates may vary. 4", 3", 2", 1" Hexagon Quilting template set. There is a 1/4 inch seam allowance around the template and holes at the corners to easily mark the seam allowance. They are made of 1/8" Clear Acrylic. We can make any color and size template, please message us for a quote. We measure hexagons from point to point, most quilters measure a single side of the hexagon. For example the 1" hexagon listed here has sides that are 0.5" in length. So most quilters would call these hexagons 2", 1.5", 1", and 0.5" hexagons. 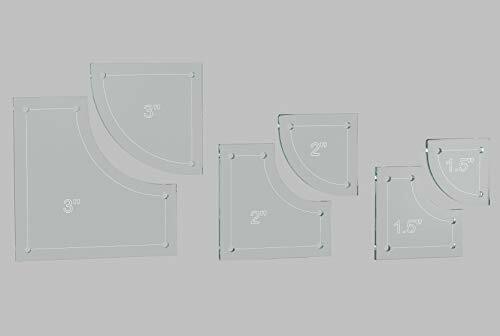 These acrylic templates are cut on a laser cutter, they are new but may have minor scratches from transportation and shipping. Cutting wheel, cutting mat, and ruler not included. Words engraved on templates may vary. 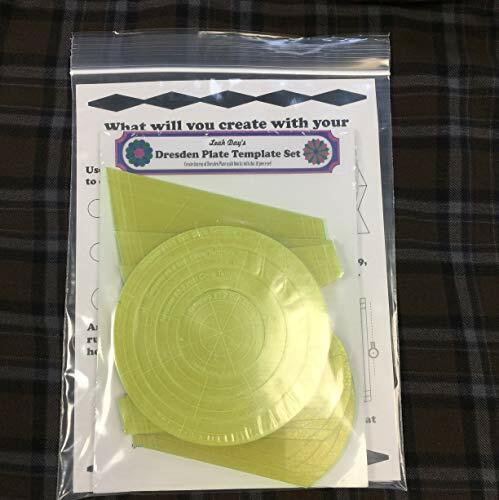 4", 3", 2", 1" Hexagon Quilting template set. 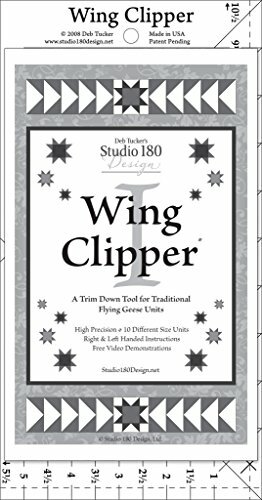 A must have tool if you are making Flying Geese units for your quilt. This tool, and the associated Fast Flying Geese construction technique, allow you to make four finished units from five squares. The best part is that each unit is constructed slightly oversized so each can be trimmed to a perfect size with perfect seam placement once the sewing and pressing are complete by using the Wing Clipper tool. Item # DT07 Ruler size - 5 " x 10 "
Note all sizes on this ruler are based on heights that finish to or whole inch. Creative Grids Grip ensures the tool doesn't slip while quilting. Shape allows you to keep control, helping prevent broken needles and crooked lines. 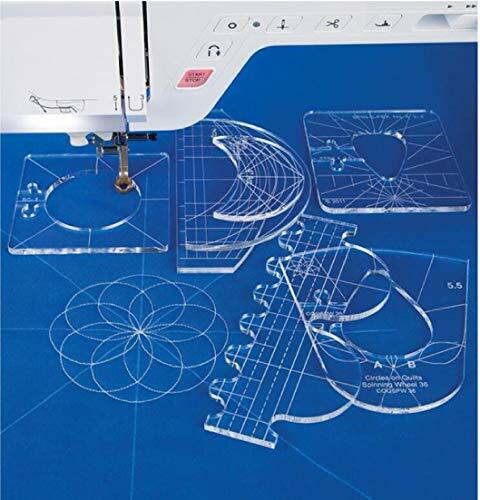 Made with 1/4in thick high-grade acrylic that is perfect for both longarm and home sewing machines. Black and white dashed guide lines are visible on all fabric colors. Taj is perfect for quilting curvy, pointed arcs on your quilts. It can be used in all areas of your quilt, including borders, blocks and backgrounds. Elvira is quite handy when quilting wavy lines or continuous curve lines. 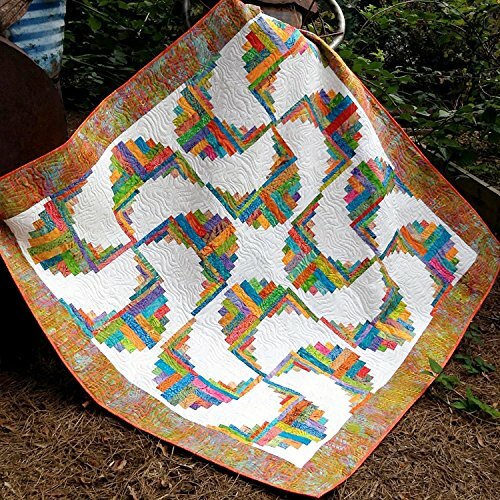 It can quilt multiple arcs in multiple directions without rotating your quilt (or working from the back of your foot)! Fast - accurate Triangles can now be cut from the same strips used for squares. Designed with 1/4in seam allowance. 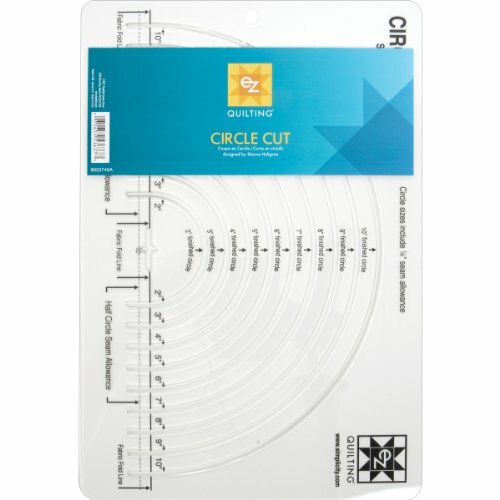 Simplicity Circle Quilting Ruler and Quilting Template, 12" x 8.2"
EZ Quilting Circle Cut Acrylic Tool. Cuts circles from 2-inch to 10-inch. Use in Quilting, Sewing, Crafting, and Scrapbooking. 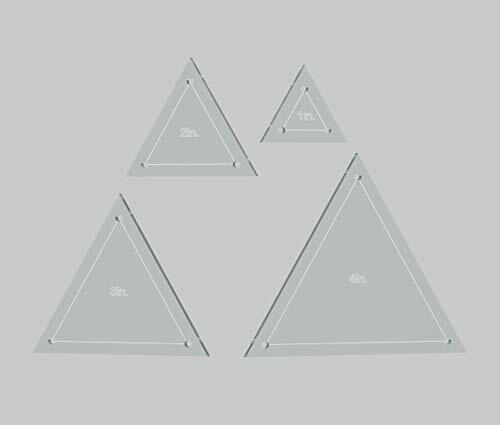 4", 3", 2", 1" Triangle Quilting template set. There is a 1/4 inch seam allowance around the template and holes at the corners to easily mark the seam allowance. They are made of 1/8" Clear Acrylic. We can make any color and size template, please message us for a quote. These acrylic templates are cut on a laser cutter, they are new but may have minor scratches from transportation and shipping. Cutting wheel, cutting mat, and ruler not included. Words engraved on templates may vary. 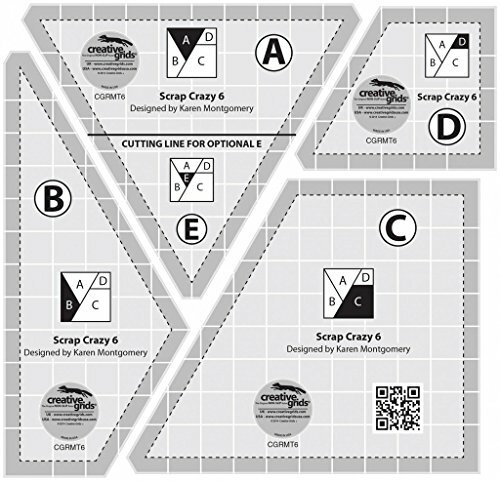 4", 3", 2", 1" Triangle Quilting template set. Easy pattern with straight seams that look curvy. Requires only 1 pack of 10"x10" OR 2 packs of 5"x5" squares. Complete instructions included. Excellent for making reusable quilt templates. Can be used over and over. Cuts easily with scissors or craft knife. Edges will not fray or curl. Each Sheet 12 inches by 18 inches. 3", 2", and 1.5" Drunkards Path Quilting template set. There is a 1/4 inch seam allowance around the template and holes at the corners to easily mark the seam allowance. Perfect for a patchwork or beginners quilt. Many tutorials can be found online for the drunkard path template. They are made of 1/8" Clear Acrylic. We can make any color and size template, please message us for a quote. These acrylic pattern templates are cut on a laser cutter, they are new but may have minor scratches from transportation and shipping. Cutting wheel, cutting mat, scissors, and ruler not included. Words engraved on templates may vary. Condition: top quality, smooth, well polishing. Size:about 12~110mm wide, 16~110mm long; 54pcs/set. -27 sets(2pcs/set, 54pcs in total) templates are included,can meet your various needs. 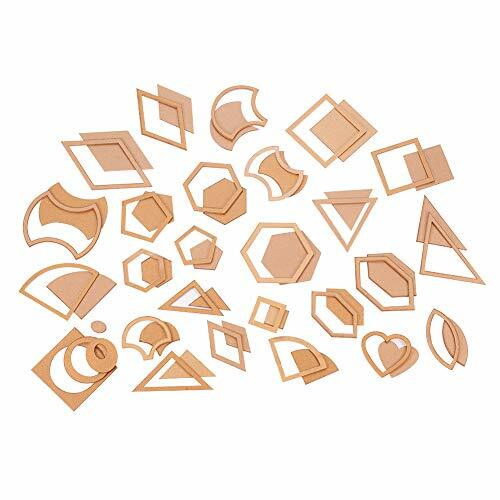 -27 styles-27 shapes like heart/triangle/texagon/square/diamond, each shape 1 sets. 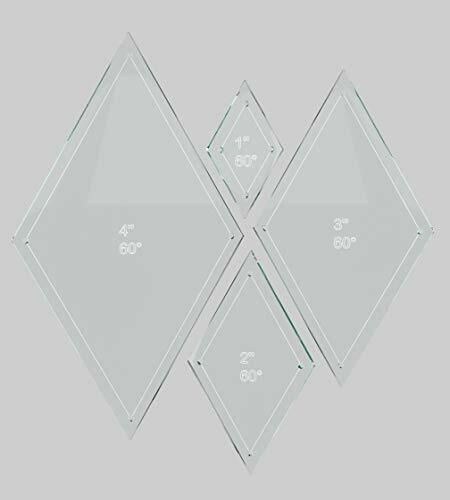 - The surface of the templates is covered with film, you need to tear the protective film before use, the templates will appear transparent after tearing off the protective film. 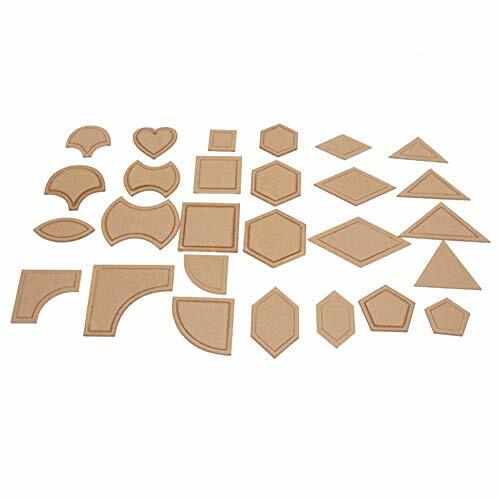 27 Styles Quilting Templates: package includes 54pcs(2pcs/set, 27sets in total) quilting templates in 27 styles--heart, triangle, hexagon, square, diamond, leaf; each style 1 set. Acrylic Material: these quilting templates are made of acrylic, clear and durable; and the surface is smooth, convenient to use. 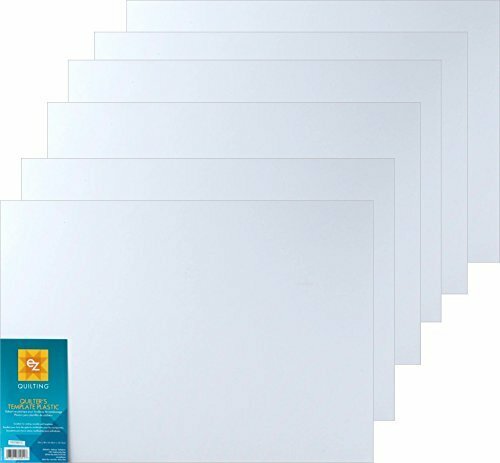 Protective Film: the surface of the templates is covered with burlyWood film, you need to tear the protective film before use the templates, after tearing off the protective film, the templates will appear transparent. 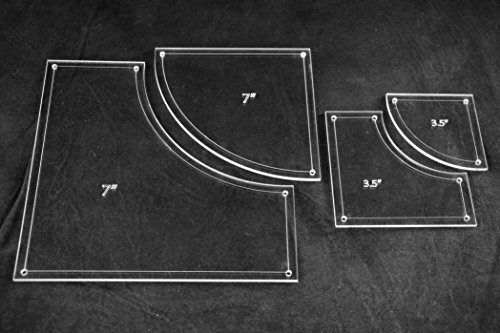 Usage: the templates are clear and detailed, convenient to be used in cutting leather pattern. 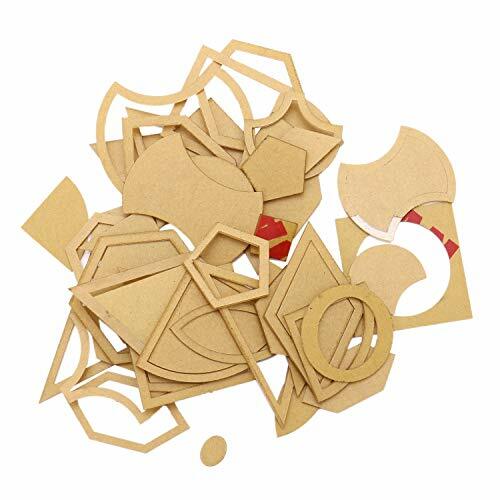 Applications: the templates can be used for leather craft quilting and DIY craft making. Quilt like a professional right on your home sewing machine. Getting the look of advanced longarm quilting is now as easy as changing the presser foot. Quilting tool is necessary for sewing, Quilting circles on your home sewing machine has never been so easy. PERFECT GIFT & MONEY-BACK GUARANTEE: Unique appearance and exquisite packaging with creative design, this quilting tool can be a great gift for friends, housewarming or lovely surprise for mothers.If for any reason you are not pleased with our template tool, just email us, we will give you a full refund before you left a feedback or review. WORLDWIDE SHIPPING !!! - Template patterns and design sizes: Double row of closed loops: 2W x 3H, Elongated loop: 2W x 3H, Heart Rope: 2-1/2H x 5W. Creative Grids Cat's Cradle Tool Quilt Ruler makes a quilt block that looks complicated easy enough. The ruler comes with fully illustrated step by step instructions or scan the QR Code printed on the ruler to view a video demonstration. Use the original size to create 6 sizes from 1-1/2 to 4 inch finished blocks. Or use the XL to create 8 different sizes, ranging from 4-1/2" to 8" finished blocks. The cutting requirements for each is printed right on the ruler. You can make different blocks with this tool and arrange them into several patterns. Exclusive gripper holds the fabric in place while cutting, eliminating slipping and miss-cuts. All Creative Grids are made in the USA. Creative Grids Cat's Cradle Tool Quilt Rulers makes a quilt block that looks complicated easy enough. Each ruler comes with fully illustrated step by step instructions or scan the QR Code printed on the ruler to view a video demonstration. Use the Cat's Cradle to create 6 sizes from 1-1/2 to 4 inch finished blocks. Use the Cat's Cradle XL to create 8 different sizes, ranging from 4-1/2 to 8 finished blocks. The cutting requirements for each is printed right on the ruler. Suits for any personal DIY or professional quilting, sewing, craft, patchwork etc. Premium quality Acrylic materials made, durable in use. Each can be divided into two parts, one part is a seam allowance, another is a net sample. The surface with a layer of film paper, you can tear it off. Different style pattern can help you make different kinds of design. This set include 54pcs, it can meet your daily use. This ruler makes it easy to handle the body shape, useful for designing. --Tips: This is diy diamond painting, not finished picture, need you finish it by yourself. Note: Compared to the traditional cross embroidery, our kits take use of the man-made diamonds setting skills. It is an increase of efficiency and eyes protection. --Diamond painting is easier than cross stitch,and more beautiful.It is easy for anyone without knowledge of drawing to fulfill a classic artwork. you will enjoy the fun of the manufacturing.Diamond Painting Kit Item Incldes: painted with canvas, color rhinestone beads, plastic plate, clay, small plastic bag and accessories storage box. --There are more beautiful diamond paintings in our shop. Welcome to click on our store, you can choose the one you like. --Natural ecologic canvas,good quality of diamond painting. --Colorful and beautiful pattern,5D visual perception. --The canvas are soft, bright color,no fading,not easy to become fuzzing or broken. --Perfect to decorate your living room or bedroom to match different decoration style. --DIY painting will be painted with resin sequins,resin sequins unique luster is dazzling,shining in the light,is currently most popular DIY decoration. The fashionable patterns and customized design is suit for you need. Notice: 1.Because we measured manually so there may be error,please don't mind it. 2.There is minor difference between pictures and products because of the photograph. 3.Keep away from water, sweat, alcohol, perfume, cosmetics. Pattern is masked with protective paper which can prevent collision and scratching during transportation. Arc Template. Stitch clamshell patterns in two sizes (1/2 and 1-1/2) with Clamshell Template, Stitch spirals using 6 Spiral Template, Stitch simple circles with 2 Inside Circle Template, Create petals with 3-1/2 Spin-E-Fex Template, Create pointed petals with 5-1/2 Spinning Wheel Template, Adjustment Guide which alters the height of the Ruler Foot to properly fit your machine and quilt sandwich. 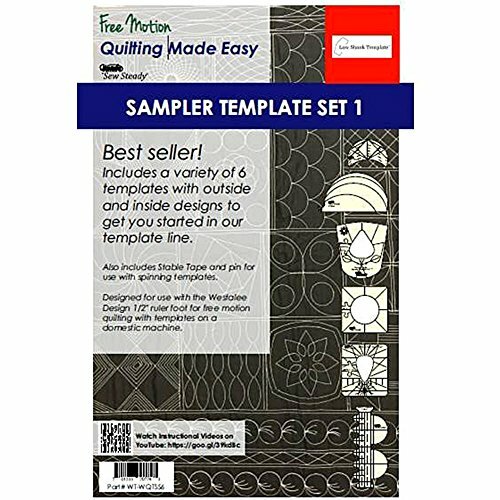 This is a versatile set of ten templates that can be mixed and matched to create dozens of Dresden Plate quilt blocks, cut tumbler and circle shapes, and for ruler work machine quilting. 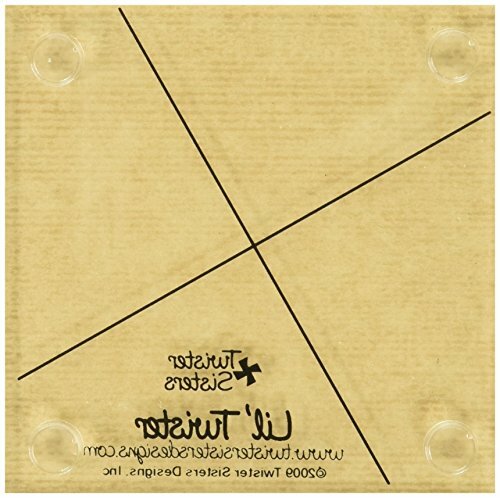 Templates can produce 8 petals, 12 petals, and 16 petals. Mix and match to create dozens of Dresden Plate blocks that measure 11 - 12 inches in diameter. You can also mix up the edge finishes of the petals with four different options - pointy, curved, straight, and fuse curve. This will change the effects and create even more Dresden Plate combinations! This set can also be used to cut Tumbler shapes to piece together to create unique quilts. These templates have been specially designed with a dual purpose - you can also use them for domestic ruler work quilting. Ideal for ruler foot quilting on your home machine!